1. Heat the EVOO with 2 TB of the Butter in a large, heavy saute pan over a medium flame. 2. Add the Onions & cook them over low heat until they are very soft but not colored, for literally 45 minutes. 3. Salt the Onions & remove them to a warm platter. Add the Liver to the pan, Salting & cooking for 30 to 45 seconds on each side. Work in batches if necessary to avoid overcrowding the pan. 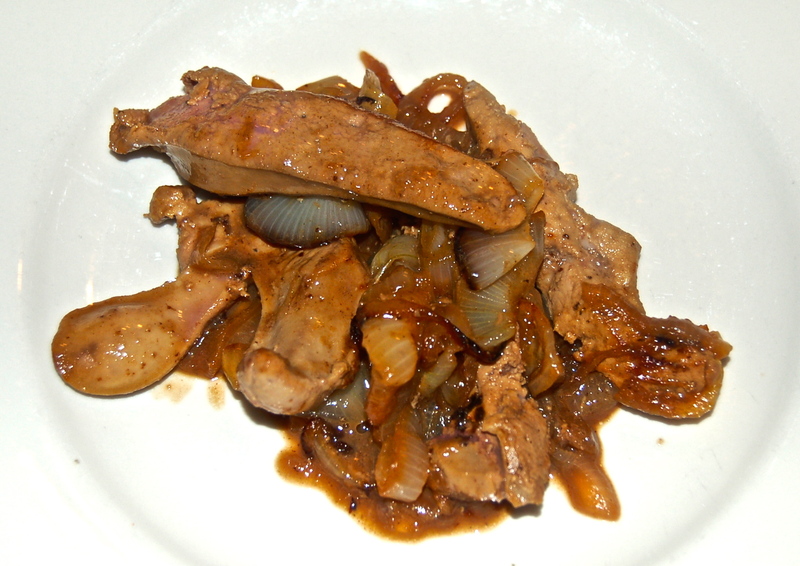 When done, place the Liver over the Onions and keep warm. Love the pasta, but you lost me with the calves liver, in spite of venetian style.